We proudly carry Pittsburgh Paints at our Pro Hardware store in Utica, Ohio. Let your surroundings make a statement with help from Pittsburgh Paints…the fresh choice in paint. Our high-quality products and professional advice have been turning dreams into reality since 1878. Here at Utica Feed & Hardware, we will custom mix your paints so that you can have the perfect colors to make your design to come to life. Quality paint & quality service; let our paint become your design. 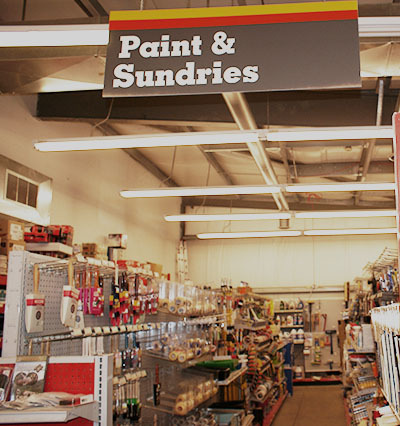 There is also a great selection of painting supplies and tools to help make your painting experience memorable.